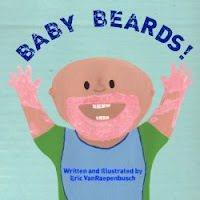 Eric VanRaepenbusch loves to read children's books. 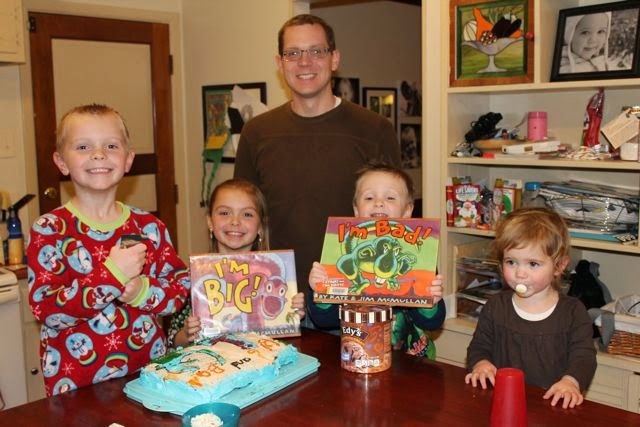 He reads with his four children. He reads with groups of school children in their classroom. 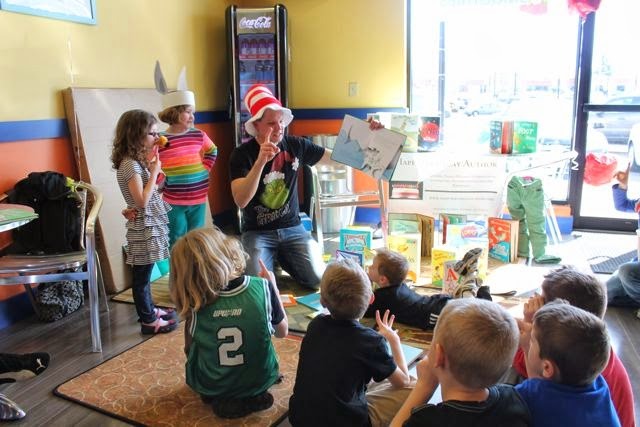 He reads with children at local businesses. 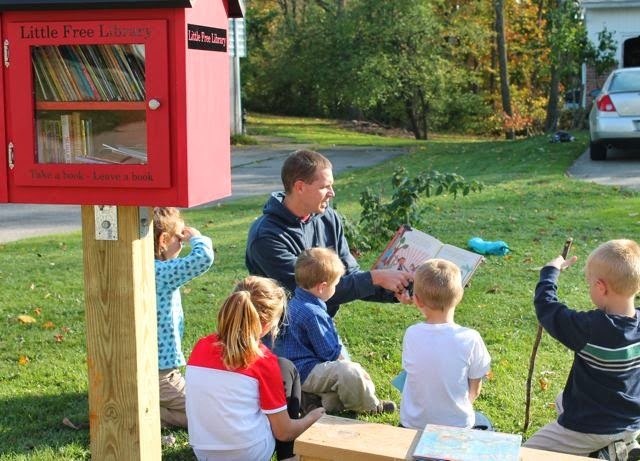 He reads with children at Little Free Libraries. 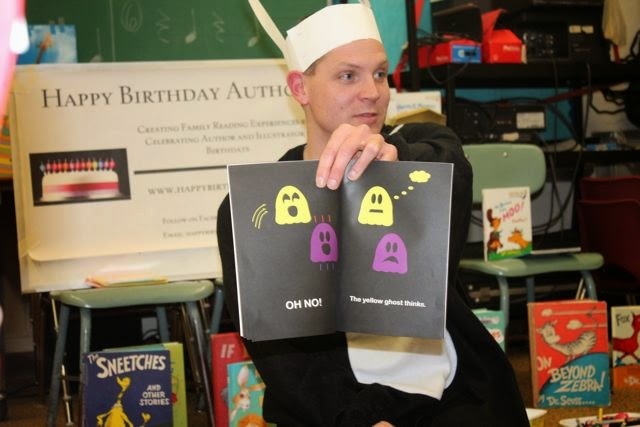 He has also been known to dress up and wear silly hats while reading to large groups of families of young children! 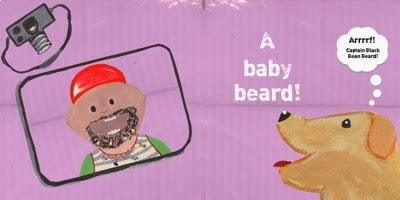 He has written his own children's books, Baby Beards! and THREE GHOST FRIENDS, and he loves to read those too! Battle Boos fly! 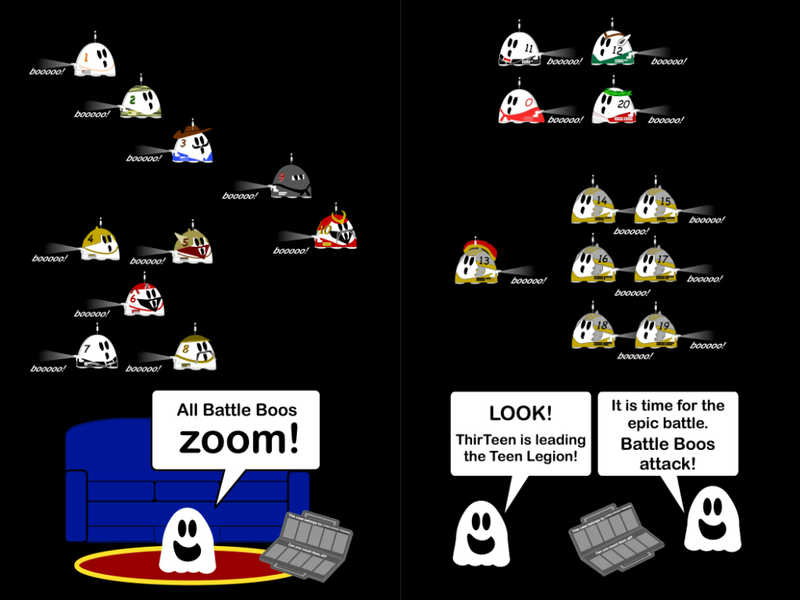 Battle Boos zoom! Battle Boos attack! Three ghost friends love Battle Boos. They saved their boo bucks to buy Battle Boos Series 2. However, they are warned that they need to know how to count to twenty to play with their new voice-activated toys. 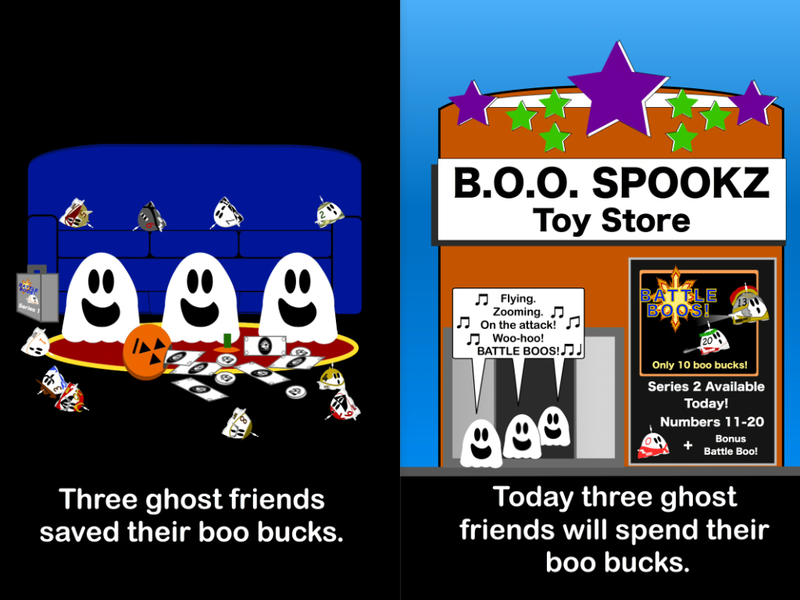 Did three ghost friends just waster their boo bucks? Will they count to 20 and have an EPIC BATTLE with all their Battle Boos? 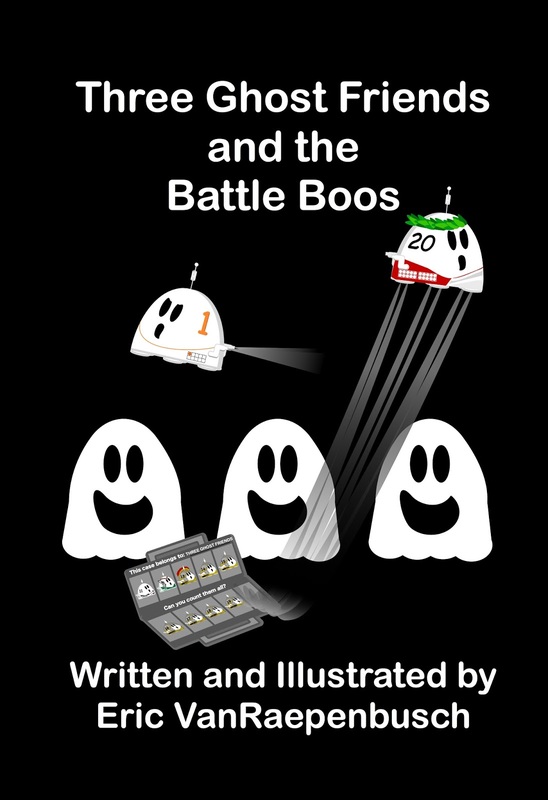 Young Readers will love counting to twenty with the Battle Boos. Which Battle Book will be their favorite? 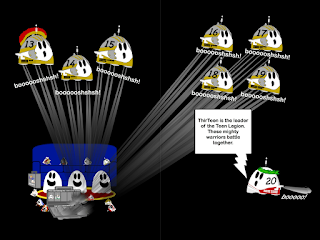 Captain Boo Beard? Secret Agent BOO7? General Boolius Caesar? 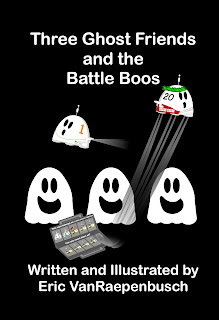 After reading this book they will want to count to 30, 50, and 100 and design their own Battle Boos! Baby Beards! 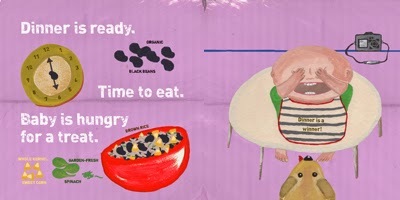 is a book that explores the fun and excitement of healthy eating for a toddler. The BIG messes and HUGE smiles bring plenty of photo opportunities. Young children will love the colorful illustrations, rhymes, and trying to find the dog and camea on each page. Parents will love interacting and talking with their child as they read. As an added bonus, parents can add photographs and record eating milestones, making this book one that children will ask to have read OVER AND OVER again! PERFECT GIFT FOR A FAMILY WITH A NEW BABY! Three Ghost Friends eat, change colors, dance, jump, and play. 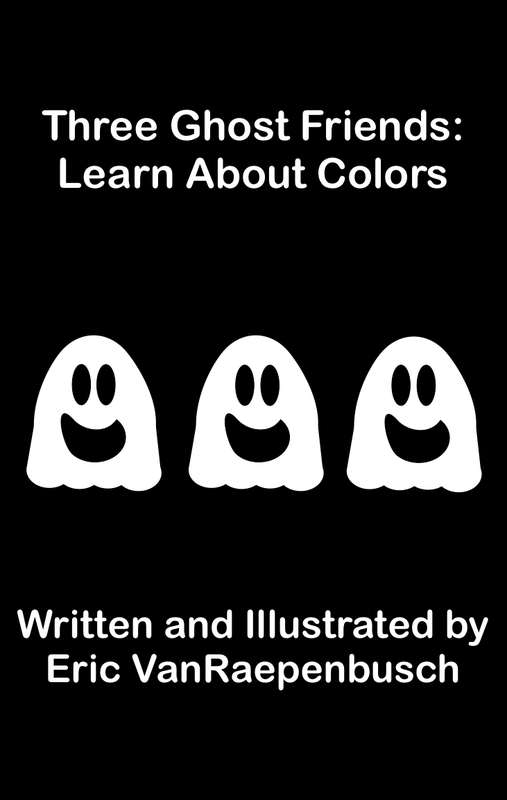 A story to teach primary and secondary colors to young children. This book is for children ages 2-5 and teaches primary colors, secondary colors, and color mixing. 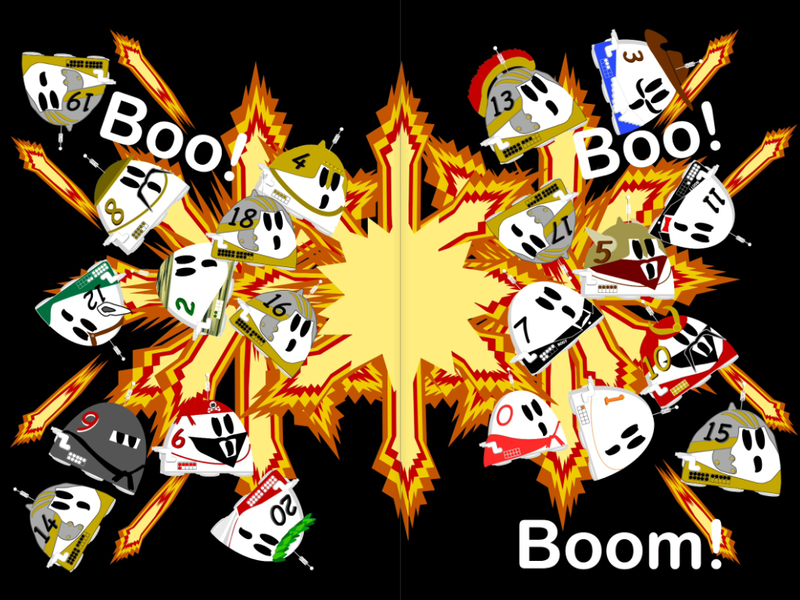 Review for the iBookstore: Cute little story, with easy-to-draw characters. There's a lot of color information packed into a simple format, and the book does exactly what it promises. I see a ton of potential for its use in preschool, primary art classes, and at home to foster creativity and spark experimentation. 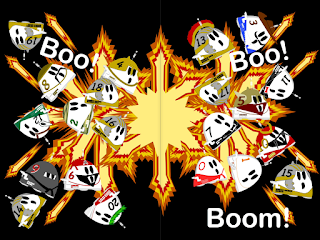 Three Ghost Friends learn about many opposites as they play. 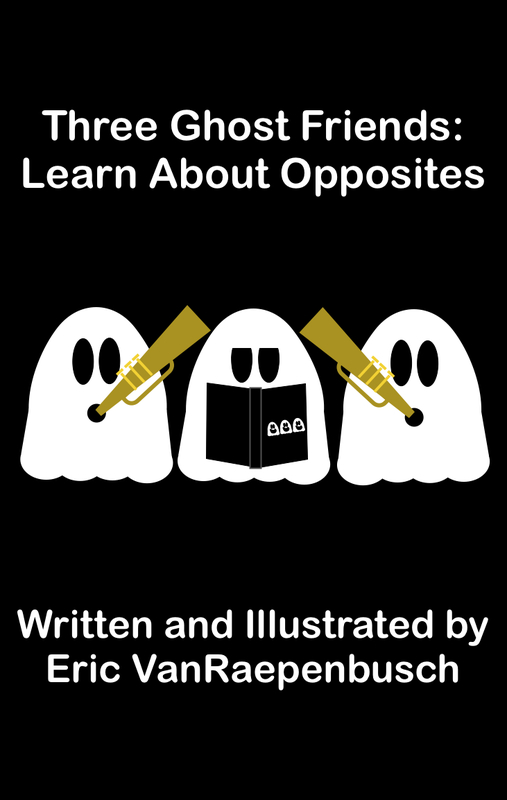 A story to teach opposites to young children. This book is for children ages 2-5.
Review for the iBookstore: Easy and challenging for a preschooler at the same time. Once the opposites are mastered, reading the text is next. My favorite of the three ghost books! Summary: Three Ghost Friends play hide-and-go-seek at a campground. 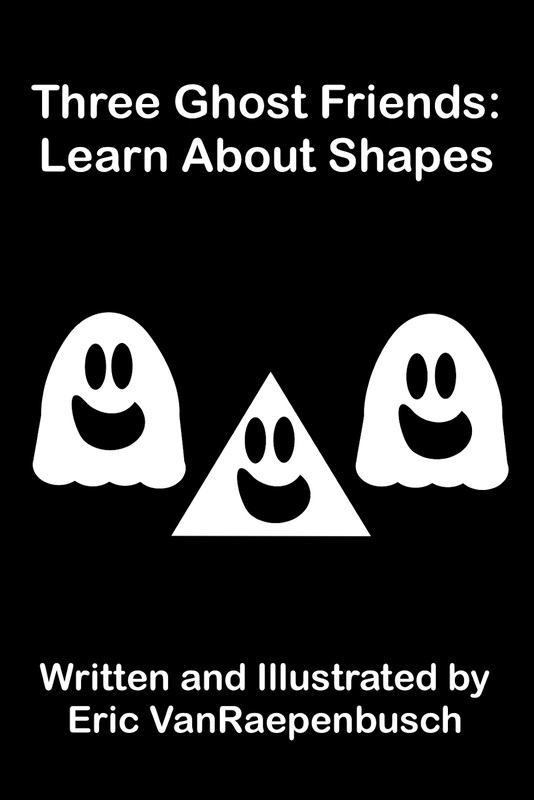 A story to teach shapes to young children. This book is for children ages 2-6 and teaches the shapes; circle, square, triangle, oval, rectangle, and trapezoid. Review from the iBookstore: My daughter and I read this book together. She really liked it a lot. I like the author's approach to teaching shapes. So simple it's beautiful. It is Halloween. Three Ghost Friends hope finding costumes that match will be as easy as ABC. But, will they agree on costumes before they get to XYZ? This book is for children ages 2-7 and teaches the alphabet and categorization. 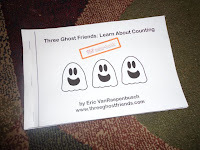 Review for the iBookstore: Eric VanRaepenbusch has a great way of making learning fun. 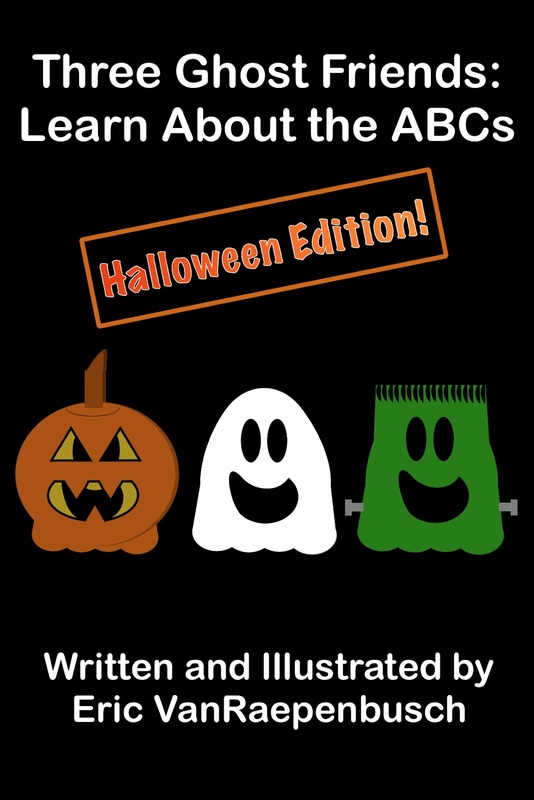 This time he tackles the ABCs with a Halloween theme and a "one of these things is not like the other" twist. 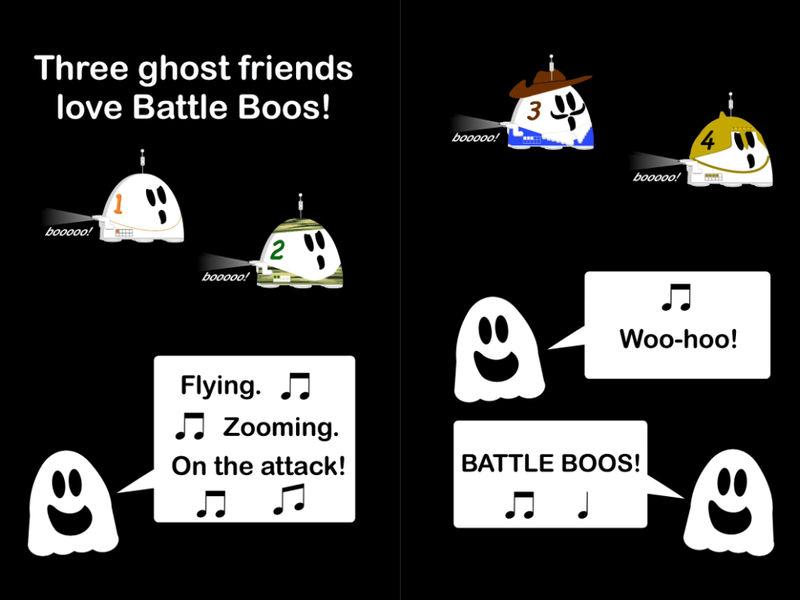 I have to confess that I get the Three Ghost Friends for myself because they're so darn cute and silly. Oh, yeah, the grandkids have been enjoying them, too. A few minutes with TGF and they practically have the books memorized! This book is full of ways to promote your children's book. It includes great ideas from children's author and illustrator Katie Davis and many other contributing writers. Katie Davis asked me to write a chapter on how to use Pinterest for book promotion after I experienced success marketing my Three Ghost Friends series. I am honored to be a part of this comprehensive guide. Did you see the Carousel on the Mall while you were in DC? And see the historical marker that tells of the ride's civil rights history? Check it out next time, and also my book that tells the story: ROUND AND ROUND TOGETHER: TAKING A MERRY GO ROUND RIDE INTO THE CIVIL RIGHTS MOVEMENT. It's a book for middle grade kids on up. Two of my NonFictionMinute stories are part of the new Quarto Book: 30 People Who Changed the world.